Do we make you laugh? Subscribe here! I had a great time with Drew from the Westside of Mars podcast. Drew invited me onto his comedy podcast to share a funny story. I retold the story of Edna. “Best story ever,” were Drew’s words. 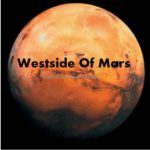 Listen to the Westside of Mars episode 21 to laugh yourself! But I warn you to listen with an empty stomach. © 2007–2017 D.Joseph Design LLC. the Ramen Noodle is a trademark of D.Joseph Design LLC™ and Noodle.mx Network™.